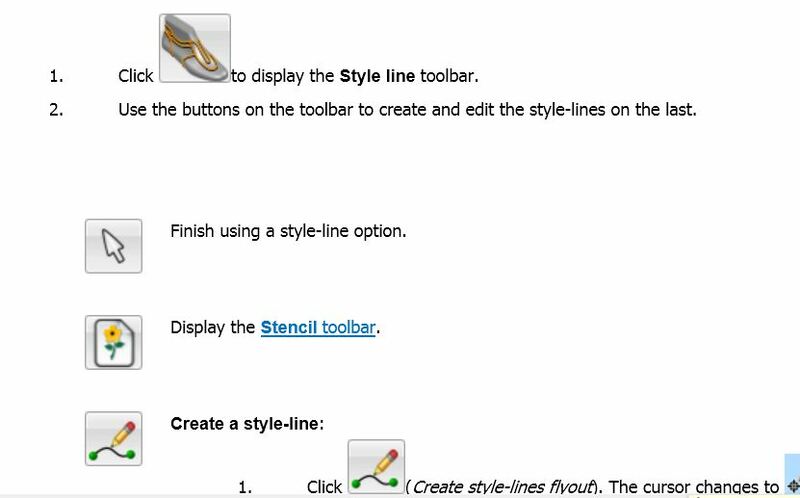 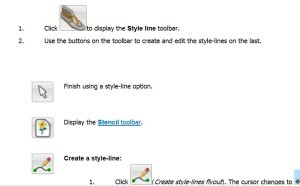 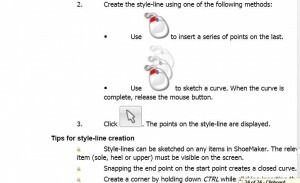 Style-lines can be sketched on any items in ShoeMaker. 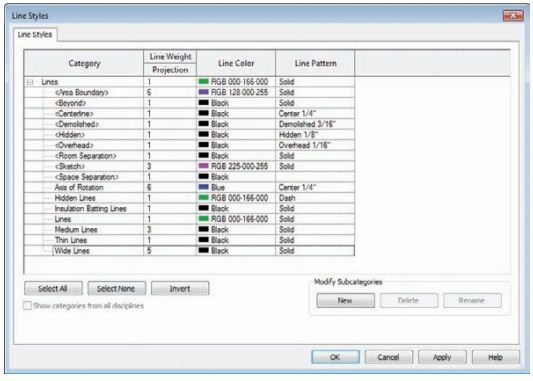 The relevant item (sole, heel or upper) must be visible on the screen. 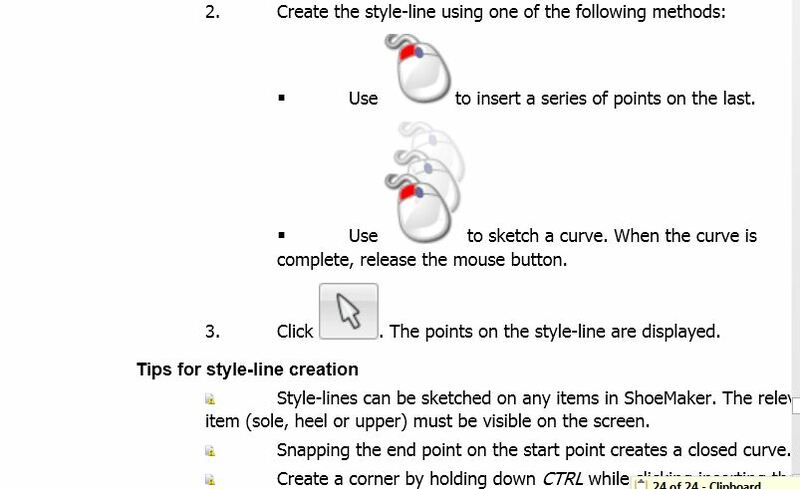 Snapping the end point on the start point creates a closed curve. 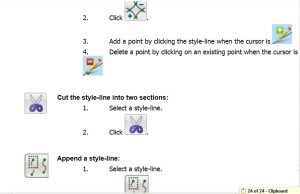 Create a corner by holding down CTRL while clicking inserting the points. 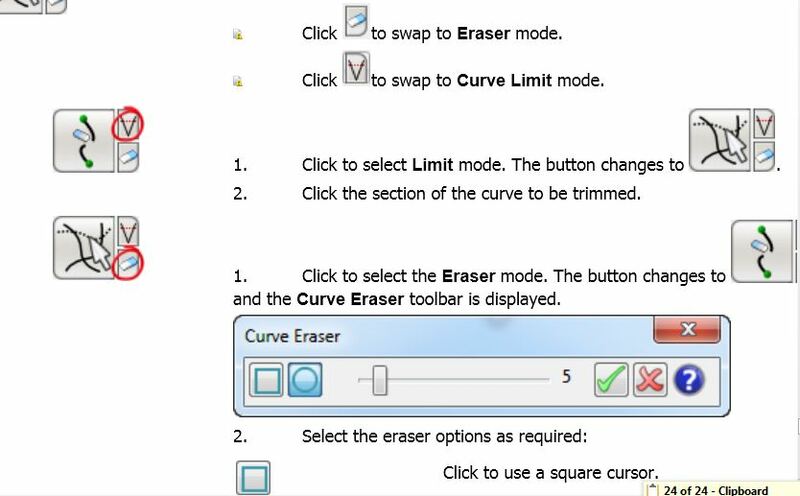 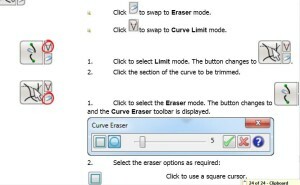 Create a sharp or smooth corner by selecting the point using the right mouse button. 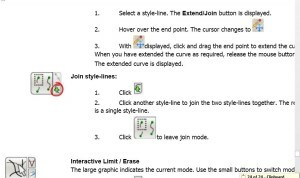 Select the required option from the Point popup menu. 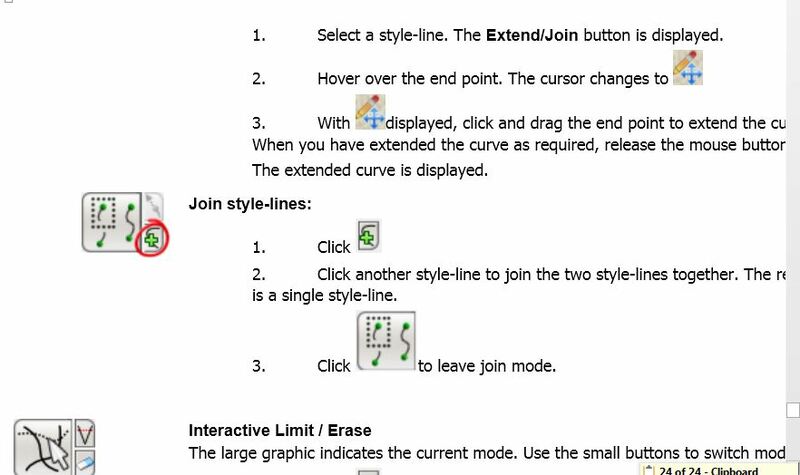 Use Straight in 2D (Point popup menu) to create a span between two selected points that is straight in two dimensions. 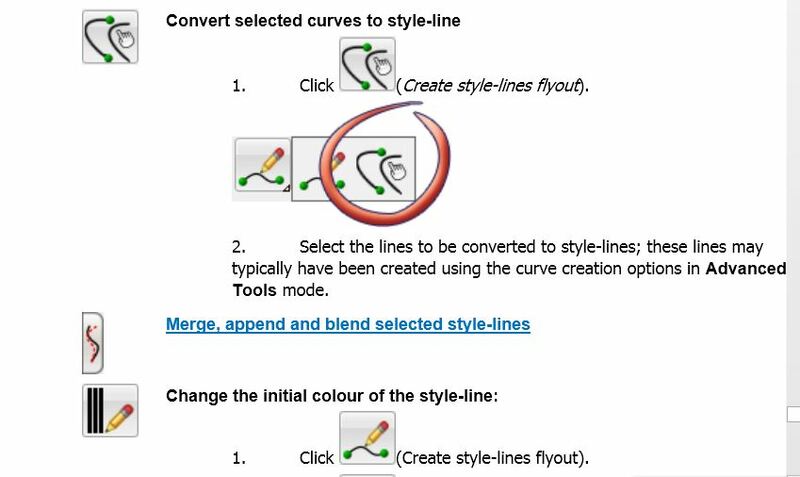 Create a continuous but separate style-line by holding down SHIFT and snapping to the end of another style line. 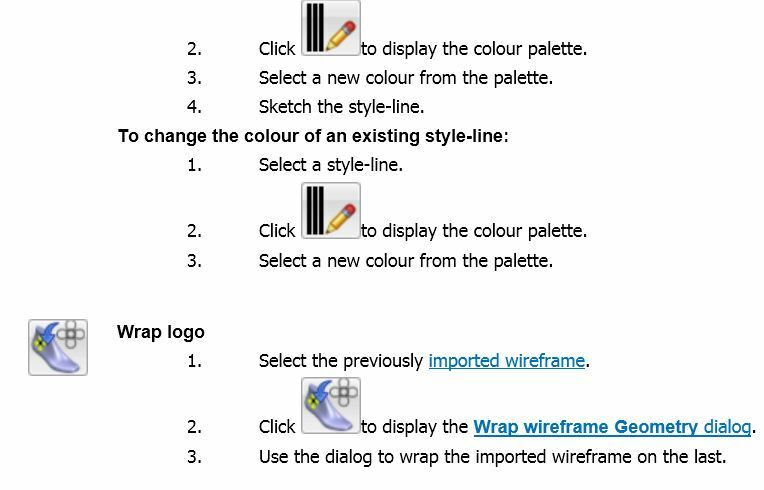 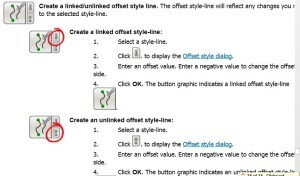 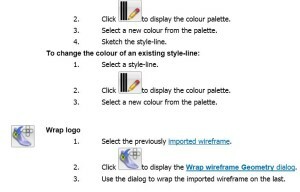 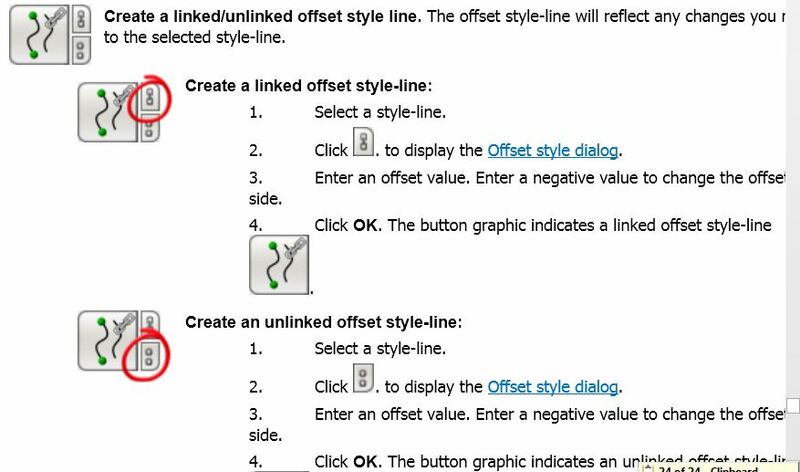 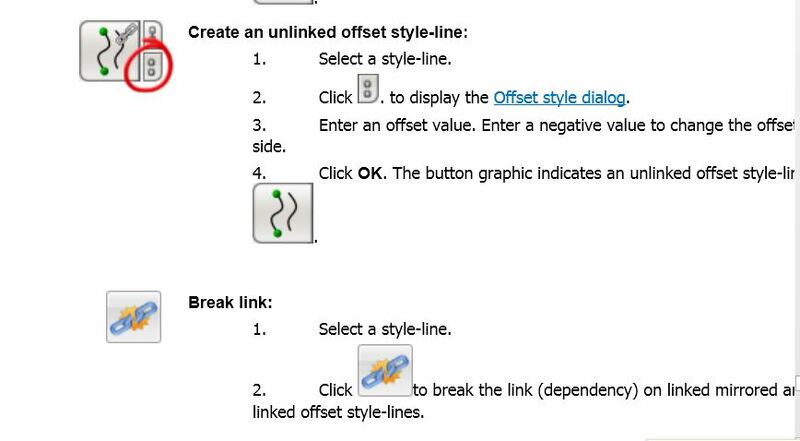 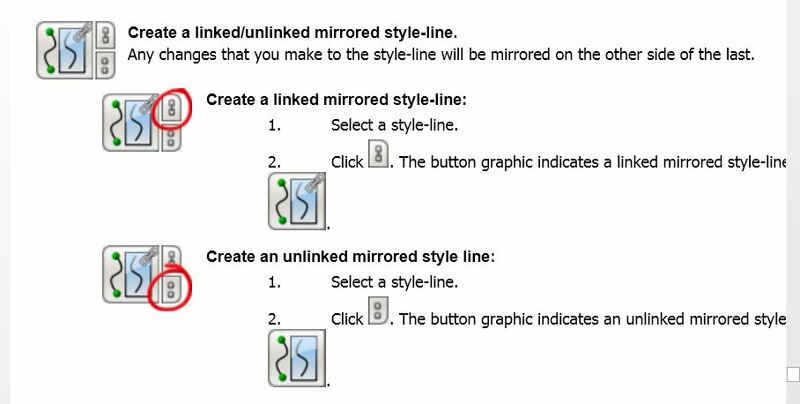 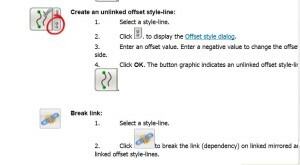 Create a style line perpendicular to another style-line by holding down SHIFT when you click on a point on an existing style-line. 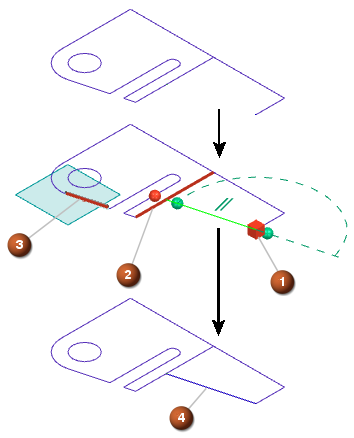 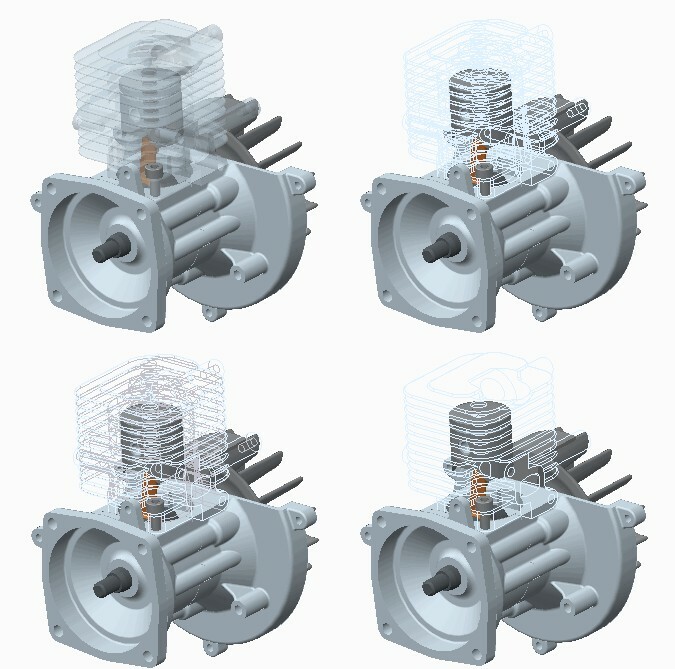 add or remove points in the same way as on the 3D last. 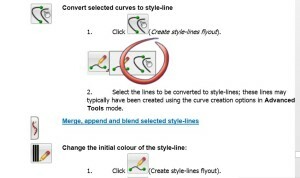 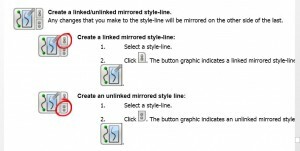 Edit style-lines by dragging the point. 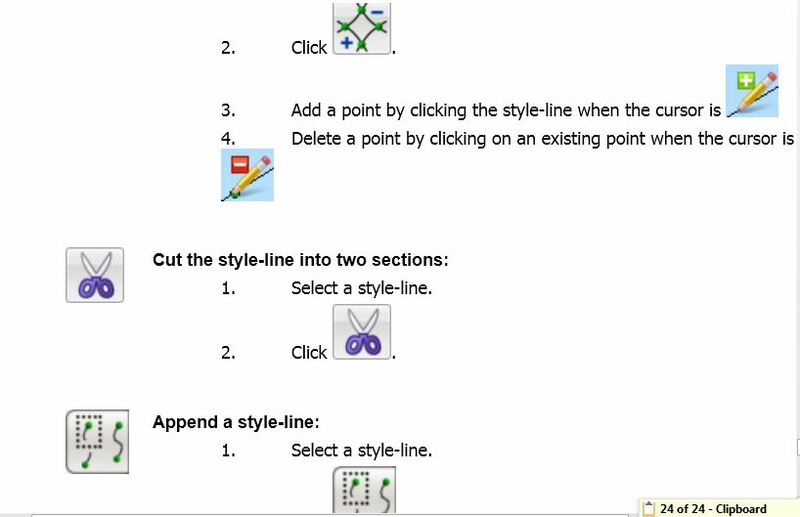 You can edit multiple points on a style-line at the same time.